Roughly one in five Americans in the workforce believe that “working for pay” will be a major source of their retirement income. This is according to the “2018 Retirement Confidence Survey” produced by the Employee Benefit Research Institute (EBRI). Nearly half of respondents believe paid work will be a minor source of retirement income for them. This widespread expectation of working in retirement may be a symptom of approaching traditional retirement age with a low level of savings and possibly a high level of debt. Regardless, if this describes your situation, having some solid data in hand may help give your plans a reality check while there's still time. The sooner you do it, the easier it will be to make any required adjustments. Despite plans, workers typically retire earlier than they expect to. Your spouse or other close family member develops a health problem that requires you to become a full-time caregiver. In these scenarios, state-mandated unemployment insurance could provide some initial help if you're laid off, but it generally only lasts for six months. Long-term disability income (LTD) and long-term care (LTC) insurance will help blunt the financial impact of the related loss of income and the possibility of increased medical costs. However, LTD insurance only enables you to recoup a portion of your former income (generally 50% or 60%). There's also a waiting period and the benefits are limited to the number of years specified in the policy. Often benefits end at age 65, so LTD isn't a source of retirement income. LTC insurance also isn't a silver bullet. While it can pay for a significant proportion of care for an individual who is largely incapacitated, premiums tend to be high, and can go up after you have purchased a policy. Adding to the negative financial effects of the above situations is the fact that you most likely won't be adding to your retirement nest egg during the time you are unable to work. That means your existing savings will generate less investment income. If possible, resist tapping into an already meager retirement portfolio, which will likely exacerbate your predicament. 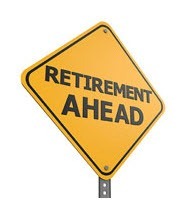 Again, as mentioned above, while you may assume you'll work to your full retirement age, circumstances may force you to retire earlier at a lower monthly benefit. Don't be uninformed. If you haven't received a reliable estimate of the amount of retirement savings you'll need to accumulate to retire at various ages, it's time to get one. You can begin with a “Ballpark Estimate” generated by EBRI's “Choose to Save” at www.choosetosave.org/ballpark. If you're covered by a 401(k) plan at work, the plan provider probably has similar systems that can get you started. Keep in mind, the expenses you'll incur when you're older typically differ from those when you're younger. For example, even when you're covered by Medicare, you'll be paying more for your overall healthcare than you do today. Online tools are helpful, but ultimately you might choose to work with an independent financial planner to go into greater depth to assess your situation. With professional guidance you may be able to build an appropriate set of assumptions you can use to plug into a retirement planning calculator. Also, you might benefit from some objective advice concerning how your retirement nest egg is invested, and other important financial decisions you will need to put yourself on a reliable path to retirement security. If you haven't taken steps to determine what you will need in retirement, you may be late to the game, but don't let that stop you. You can't start sooner than today.